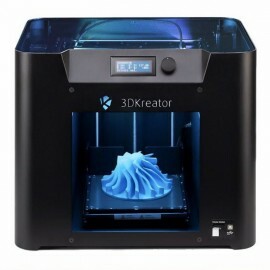 3D Desktop FDM printers are affordable for individuals or small businesses. Easy to handle and maintain with some basic knowledge. Neither do they require assembly. FDM printing technology has the widest variety of materials available for printing. 3 694,21 € tax excl. 4 470,00 € tax incl. Professional FDM 3D printer with double independent extruder and large area of impression. Professional FDM 3D printer with double independent extruder and large area of impression. 2 475,00 € tax excl. 2 994,75 € tax incl. 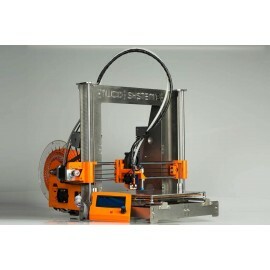 Versatile FDM 3D printer, valid for all types of users, with double independent extruder. 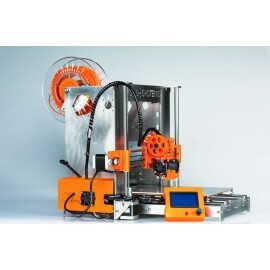 Versatile FDM 3D printer, valid for all types of users, with double independent extruder. 2 290,00 € tax excl. 2 770,90 € tax incl. Delta 3D printer capable of printing different types of filaments at a high speed. Delta 3D printer capable of printing different types of filaments at a high speed. 3D printer that allows all kinds of useful materials in the scientific, business, educational and more fields. 3D printer that allows all kinds of useful materials in the scientific, business, educational and more fields. 3D printer with large print volume and enormous potential in the industrial field. 3D printer with large print volume and enormous potential in the industrial field. 3D printer with Android operating system with its own software (Zetup), very easy to use. 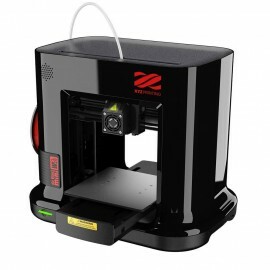 3D printer with Android operating system with its own software (Zetup), very easy to use. 1 025,00 € tax excl. 1 240,25 € tax incl. 3D printer with large printing area, a precise extrusion system and heated bed. 3D printer with large printing area, a precise extrusion system and heated bed. 1 934,79 € tax incl. Sharebot NG is a printer 3D ideal for professional users that look for stability and versatility. 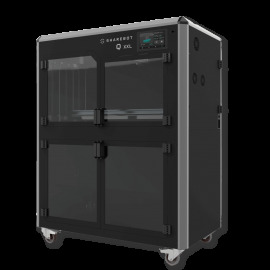 Sharebot NG is a printer 3D ideal for professional users that look for stability and versatility. 3 995,00 € tax excl. 4 833,95 € tax incl. 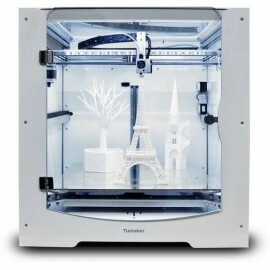 3D printer ideal for professional users who demand larger print sizes. 3D printer ideal for professional users who demand larger print sizes. 2 995,00 € tax excl. 3D printer ideal for professional users who demand high precision and high speed. 3D printer ideal for professional users who demand high precision and high speed. 8 260,00 € tax excl. 9 994,60 € tax incl. 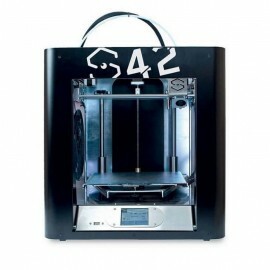 Professional 3D printer with a print surface equivalent to an A3 format (297 x 420 x 300 mm). 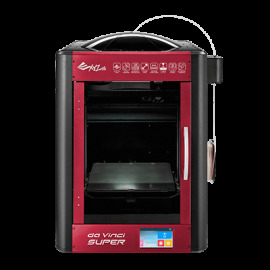 Professional 3D printer with a print surface equivalent to an A3 format (297 x 420 x 300 mm). 10 550,00 € tax excl. 12 765,50 € tax incl. Professional 3D printer with a printing surface of 700 x 350 x 300 mm. Professional 3D printer with a printing surface of 700 x 350 x 300 mm. 1 396,70 € tax excl. 1 690,01 € tax incl. Thanks to its large base of printing can print parts with good quality. Thanks to its large base of printing can print parts with good quality. 1 299,00 € tax excl. 1 571,79 € tax incl. 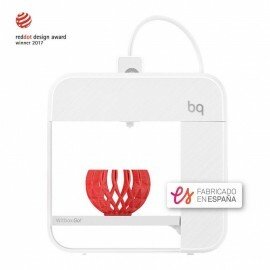 Professional 3D printer easy to use and portable, ideal for architects and designers. Professional 3D printer easy to use and portable, ideal for architects and designers. 3D printer that stands out for its reliability. A great option in value for money. 3D printer that stands out for its reliability. A great option in value for money. 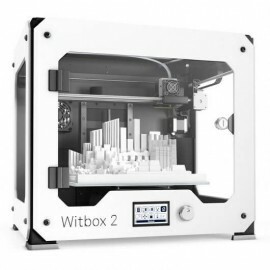 3D printer with possibility of the double extruder and a greater volume of printing (200 x 300 x 180 mm). 3D printer with possibility of the double extruder and a greater volume of printing (200 x 300 x 180 mm). 1 958,00 € tax excl. 2 369,18 € tax incl. 3D KREATOR MOTION 3D printer stands out for its versatility. 3D KREATOR MOTION 3D printer stands out for its versatility. 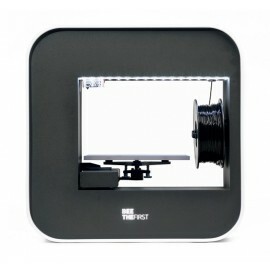 FDM/FFF 3D printer desktop for beginners of 3D printing ideal for home or office environments. FDM/FFF 3D printer desktop for beginners of 3D printing ideal for home or office environments. 2 230,58 € tax excl. 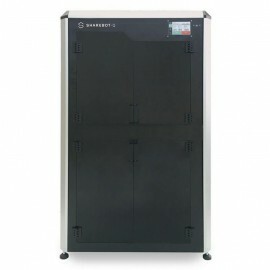 3D printer with possibility of scanning and laser engraving, providing incredible versatility. 3D printer with possibility of scanning and laser engraving, providing incredible versatility. FDM Desktop 3D printers are the most widespread in the market, and at the same time the best option to start in the world of 3D printing, since they are the most economically affordable, ideal to acquire and deepen in the basic knowledge of 3D printing before thinking about making the leap to a more robust industrial range printer. 3D Desktop printers are indicated for printing filaments of medium difficulty, with which you can get technical parts with optimal precision. The FDM technology (Fused Deposition Modeling), also known as FFF (Fused Filament Manufacturer), is the most widespread on the market today. This technology consists, to explain it in a very simplified way, in the conduction of a plastic filament through an extruder that melts it above its melting temperature and deposits it layer by layer on the base of the XY printer, increasing in height the piece as the Z axis moves. There are two types of filament diameters: 1.75mm and 2.85mm, and the great advantage of this technology is the wide variety of materials currently developed. First of all, the type of user that will use the 3D printer, since a particular user is not the same, where you can invest more time in carrying out more maintenance or adaptations in the printer, such as an industrial one where, above everything, the robustness and reliability prevail. On the other hand, it must be taken into account which materials are to be printed and the maximum dimensions required, since this is going to be one of the limiting factors when determining whether the desired 3D printer meets the requirement or not. And, finally, we must also consider the maximum precision that is being sought, in order to check which 3D printers meet the requirements requested.